Many have asked me my opinion of the health care bills that have now come to fruition and will probably be negotiated to a complete bill for the President to sign within a week. What better topic for Christmas blogging than the health and well being of our fellow citizens? A group of UK freethinkers who maintain an Arabic website interviewed me a few months ago. That interview is now online. 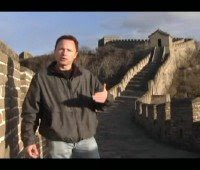 See tabee3i Interview with Dr. Richard Carrier. In it I discuss (counter-intuitively) why naturalism is a stronger position than mere atheism, how I think closet atheists and doubters under oppressive Islamic regimes should cope with their situation (and how godless parents should raise their kids in comparably oppressive religious societies like America's Bible Belt), and what I would do if I were elected President of the United States (as if we all fell into some bizarre parallel universe where that would be possible). Plus (more briefly) a few other things, including a bit about my life and loves. It's been nearly a year and the common opinion is that President Obama has gotten little done and failed to deliver on any of his promises. Of course it's unrealistic to expect he would in only a year. It took Bush eight years to right and fully screw this country over inside and out. 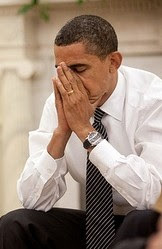 So we should wait for at least Obama's second State of the Union address before assessing him as a president. He has yet even to deliver his first (due this January). So let's not be premature. Nevertheless, I was buying into the zeitgeist myself until I read some recent articles that really exposed the lie: most of the mainstream media is outright ignoring dozens of things Obama has accomplished, and downplaying the rest with biased terminology like "dithering" (to sane people, it's called careful deliberation) or with biased depictions of his actions as aloof or accommodating (actions the rest of us rightly call bipartisanship, which all those same people actually claim to want, yet when they get it, they condemn it as "accommodating" or "aloof"). First, I still haven't seen The Nature of Existence, but it's supporting website now has extras on it, including a few extended bits I suppose were not included in the final film, some of which include material from Nygard's interview with me (sprinkled in amidst material from other interviews). Use the the film website's People link (or click here), and wait fifty years for the page to load, then find me listed on that page, and under that entry will be a link to "Videos" that include me. Although I've gotten in once or twice, most of the time their server will fail before you even get to the first step of this process. So basically, you have to be lucky to ever see these clips. So, good luck with that. Second, I wrote a letter to the editor of American Atheist Magazine which they published (in the September issue of 2008, p. 6. ), on Pigliucci's critique of Dawkins in the preceding issue. 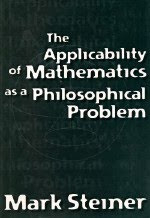 I agree with Pigliucci except on two points where I defend Dawkins: contrary to Pigliucci, Dawkins is right to criticize the apathetic liberal and moderate wings of Christianity for their failure to stand up to the right, and Pigliucci is wrong to claim the God hypothesis is not a scientific hypothesis that can be be refuted scientifically. I defend both points with facts and arguments in a full-page letter. Third, the University of La Verne Campus Times published an article about my talk there on my historicity of Jesus work earlier this year, but it's not very good. Their quotations of me are often inaccurate (sometimes egregiously so, yet they didn't call me to fact check them or, evidently, even fact check them against the video I know they have access to), and what I said in the talk is often not correctly described. But if you want to see a completely inaccurate news article about the event for some reason, click here. Last year I spoke at Missouri State University (in Springfield) alongside P.Z. Myers, for the Church of the Flying Spaghetti Monster, on science, religion, and morality (video of the whole event is available on YouTube). They weren't sure if they could make it an annual event, but lo and behold, they exceeded their wildest dreams. Now Skepticon 2 is on for Friday and Saturday, November 20 and 21 (2009). And boy, are they amping up the dial to 11! Check out their official event website for all the information and updates as planning develops. And for more details about the MSU campus and the group hosting the event, see last year's blog. Though an exact schedule is still in the works, the roster of speakers they've secured this time is already incredible to behold. Instead of just two of us for a half-day event, this time it will be an amazing two-day conference. The emphasis is on exciting content, so I doubt any of it will be boring. There will be at least eight speakers: apart from myself, Richard Carrier (more on that below), you'll also get to see Dan Barker (who is always an entertaining speaker), D.J. Groethe (a freethought radio personality who is also a real pro), P.Z. Myers (if last year is anything to go by, he'll definitely be fun to hear), Joe Nickell (I was on a panel with him some years ago and I can vouch for him: no matter what he talks about, you'll be riveted), Robert Price (he rankles some, but let's be honest: the guy is funny, and a master of words--even if you don't agree with him, you will not be able to deny you enjoyed hearing what he had to say), Victor Stenger (I've not heard him speak yet, but if his last book is anything to go by, you won't want to miss him), and Rebecca Watson (by all accounts definitely no dull speaker she). Richard Dawkins is still a possible addition--he was interested, but scheduling conflicts will likely nix an appearance this year. For more background and links on all these speakers visit the Skepticon II Speakers Page. There is also a strong possibility of a panel debate with local heads of the Assemblies of God (their national office is located just down the street), on which I and a few of the other speakers will be representing the godless side. And of course many speakers, myself included, will be selling and signing our books throughout the event. The whole conference is going to be free and open to the public, a rather amazing feat. To do this they need help with funding, and are asking anyone who believes the Midwest needs this sort of thing to donate small amounts, just five, ten or twenty dollars (you can even send it through PayPal). If enough people do even as little as that, they can cover all their costs, and they won't have to break anyone's bank. I think this is a great event and really deserves your help. If you want to support it, go to their website and donate now. The more donations they receive, the more likely this event will be continued in future years, and perhaps inspire other godless events in Midwest, where a dose of good sense is often much in need. Since it's the Church of the Flying Spaghetti Monster, I prefer to be more humorous in my presentation. This year I'll be delivering a reprise of the well-received comedy-talk I first gave at the West Coast Atheist Meet in San Francisco in 2006 (which I then expanded and delivered again in Las Vegas in 2007): Where the Hell Is Jesus!? Weird Stuff from the Gospels to the Apostles. The title's a bit different because I've extended it even more, with additional material, no longer focusing solely on the book of Acts. Basically, I humorously examine why Acts is so odd if Jesus really existed as the Gospels claim. Though the facts presented in this speech are entirely true, and the conclusions are not unwarranted, it's by no means be a complete or systematic case for the non-historicity of Jesus. It's meant more to be fun than convincing, falling in the category of "Things That Make You Go Hmmm..." Nevertheless, I'll have a Q&A session afterward, where the issue can be discussed further. 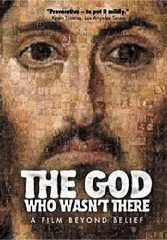 In connection with that, well before then I shall have sent two new updates to my donors on the Historicity of Jesus book I've been engrossed with perfecting for far longer than I expected! Update: video of my talk at this event is now available on YouTube. 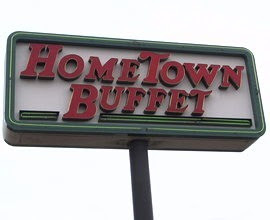 On Sunday 8 November (2009) I'll be appearing in Scottsdale, Arizona (near Phoenix) for the Humanist Society of Greater Phoenix, in a special banquet room at HomeTown Buffet (on 1312 N. Scottsdale Road). Breakfast begins at 9am, introductions around 9:45am, then my talk and Q&A (and book sale and signing) will run to 11:30am or so. The event is on the HSGP calendar, but you'll get more of a description here. Abstract: This will be a more off-the-cuff version of the talk I gave at Indianapolis in early 2008 (which I presented as a narrated video, as I was deathly ill), this time expanded to include some additional examples from astronomy (the original talk focused only on biology). In short, I compare ancient and modern Christian creationism, with ancient and modern science, showing themes shared across history, especially regarding scientific values. 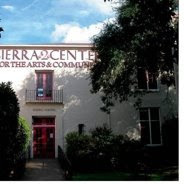 The event is free and open to the public, but you have the highly recommended option of enjoying the buffet for $8 (be sure to mention the Humanist Society at the cashier). Last year I promised to make several appearances around the country, and now these are all coming to fruition. I blogged the SFSU event last week. This week I'll be blogging several more. Tuesday, October 20 (2009), I'll be appearing in Sacramento (California), at 191 Lathrop Way, Suite D, for the Sacramento Freethinkers, Atheists and Nonbelievers (FAN). For directions see the website of the The Sacramento Tree Foundation (FAN is borrowing their venue for the evening). Event begins around 6:30-7pm and runs to maybe 8:30 or 9pm, which includes introductions and Q&A. I'll also be selling and signing my books afterward. Abstract: We all have a worldview, whether we know it or not. Everything is guided by it, our morals, our politics, our methods of deciding what's true or false, even which doctor we go to. 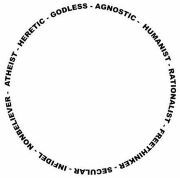 So, what if naturalism is the only credible worldview? How does that affect your morals, your politics, your methods? Find out as Dr. Richard Carrier, author of Sense and Goodness without God, explains what naturalism is and how it matters. I've delivered versions of this talk before, many years ago for AOF (also in Sacramento) and last year for CFI Indianapolis. Since then I've streamlined it and updated bits. See the FAN calendar listing for more info and a means to RSVP. Students at San Francisco State University want me to give a talk and take questions on the subject of mathematics and god, from the perspective of physics and naturalism. It's been quite a long time in the making, but we've arranged an event for Tuesday, 29 September (2009), 4-6pm. The talk is sponsored by the SFSU Department of Philosophy and by the Philosophy of Religion Society. It's free and open to the public. I will be selling and signing copies of my books afterward. The event will be held in Room 587 of the SFSU Humanities Building. You can get directions (and info about parking) from the SFSU website (among many options, there are shuttles and buses to the campus from the Daly City BART, and I hear the Muni M line goes somewhere near as well, but don't quote me on that). For exact locations, see the southwest section of the SFSU Campus Map. There is no website for the event, but inquiries can be emailed to Steve Baughman. The title of the talk is: "The Universe Is Mathematical, Therefore God Exists! (Or Not)." As advertised: Dr. Richard Carrier, author of Sense and Goodness without God, explains how godless naturalism explains the mathematization of physics without any Mind behind the Universe. Using examples from Archimedes to modern String Theory, Carrier will show how advocates of the contrary view, like Russel Howell and Mark Steiner, don't understand the true nature of physics or mathematics. Then he will take questions from the audience on the remarkable thesis that mathematical laws prove the existence of God. This is basically a summary and update of my ongoing debate with Howell and Steiner, which I've blogged about before: "Our Mathematical Universe" (5 October 2007). Except this time I'll use examples from ancient (and modern) science to show why the mathematization of nature is actually expected on naturalism. Ben Dench at the liberal-progressive OEN (OpEdNews) web news service conducted and published an extended interview of me on a variety of topics. It's now available online. We discuss the future of Christianity, the role of secularism in improving society, my beefs with professional philosophy, and my proposal that a lottery for congress would be superior to the current election process. And a few other things besides. Just a quick notice: at 11pm EST (8pm PCT) tomorrow (Thursday, August 27, 2009), Missouri State's student run internet station, The Growl, will be having a conversation with me on a variety of topics, including the new chapters I prepared for an upcoming anthology by John Loftus (one of those agreements I made years ago that finally came due, I'll blog it when it hits the presses next year), and various things about faith, science, cosmology, and why we bother criticizing religion. This is part of the run up to the big MSU Skepticon II event this November, but I'll tell you all about that in a couple of weeks (I'm waiting for the completion of their official website, which should be any day now). For now, if you're keen, you can listen in tomorrow by going to The Growl online and clicking 'listen' at the designated hour. It doesn't appear they archive shows, so if you miss it live, you missed it for good. I apologize for the short notice, but they only just asked me last night! In his thoughtful reply to my recent review of his book Encountering Naturalism, Tom Clark narrowed the differences between us on how naturalism changes the way we should think. We agree on even more than I suspected. But important differences remain, and one is so important it warrants an entire blog of its own. Last year I read two important books about metaphysical naturalism, which are very different from each other. 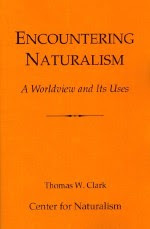 I'll review the first today, Thomas Clark's brief summary (only 101 pages) of the naturalist worldview, in aid of his website and institute devoted to the subject, the Center for Naturalism (which has been much updated of late, and now has a rather elegant look and a great collection of articles). His book Encountering Naturalism: A Worldview and Its Uses has the virtue of being a good, brief introduction to naturalism as a worldview, emphasizing the utility of embracing it--personally, socially, and politically (his website continues that theme). In a past thread I've been having a lengthy and interesting discussion with a neopagan about the nature of Taoism, paganism, and supernaturalism. In the course of which, the issue of humanity's future came up. Much was said, but it eventually boiled down to this: some think I and many other atheists are too optimistic about the future. I made the point that the past three hundred years have displayed a steady pace of overall progress in social, scientific, and technological progress, which shows no signs of abating. Here I will give a reply in two parts, the second much longer than the first, so those who just want the short of it will know where to stop, while those who want to fully hear me out on this can go on to the rest. Amazon has a new program that allows associates to build their own mini-storefronts to promote their favorite books and videos. We get a commission on everything sold there, even stuff you add to the shopping cart from your own wishlist while you're there, or the Amazon automated and listmania recommendations that pop up. I've updated my Support page to explain this and more. 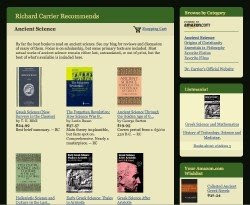 To check out my storefront, and see my top recommen-dations in fiction, movies, philosophy, origins of Chris-tianity, and ancient science, visit Richard Carrier Recommends. If you find it interesting, it's well worth a bookmark. And if you want to help, spread the news. Although it has fewer features, and the content is limited to my recommendations and what Amazon thinks is related, I find this stripped-down mini-store cleaner and less noisy than the usual Amazon interface. I also get a commission on anything bought through a link on this blog (from now on; past links won't do this) or my website (www.richardcarrier.info). None of this costs you any more than it usually would at Amazon. They just give me a cut of their profits for turning business their way. Since I think Amazon is a superb service, I'm quite happy to recommend buying from them. And you'll get a glimpse of what I think are important readings, sometimes even essential readings, or just my favorite picks, in each category there. 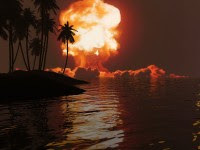 On Thursday April 30 (2009) at 5pm PST (8pm EST) I will be the guest on The Infidel Guy (a godless internet radio show, for those not in the know), for about an hour. It will be by phonecon, which I hate, but it will be casual and informal, and topical. We might wander over many subjects, but the big three will be my thoughts on The Jesus Project, my recent debate with William Lane Craig, and my new book Not the Impossible Faith. Go to the website for The Infidel Guy to learn how to listen live (I believe only subscribers can listen to archived shows after that). I think you can also listen live through iTunes (just search Infidel Guy in the podcasts section to find the feed). His website also has a phone number for calling questions in as the show airs. On Sunday April 19 (2009) I will speak for the East Bay Atheists at the Berkeley Public Library (Central Library, 3rd Floor Meeting Room, 2090 Kittredge St., just a block from the Downtown Berkeley BART station along Shattuck) in California (obviously) from 1:30 to 3:30pm (that includes introductions and Q&A and everything else). The subject will be Not the Impossible Faith: Why Christianity Didn’t Need a Miracle to Succeed. I'll be selling and signing that book after the event for the cut-rate price of $20 (you won't find it for that price anywhere else, though I see Amazon has thankfully slashed Lulu's exhorbitant price tag). What will I speak on specifically? I will take everyone on an amusing tour of my latest book, which exposes the lousy scholarship and probable dishonesty of the infamous online Christian apologist J.P. Holding. 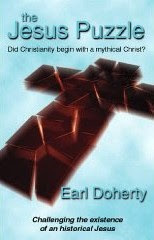 In the process, you’ll learn all kinds of useful and interesting things about the ancient world and the earliest Christians, and why their religion was a natural success––all contradicting Holding’s book, The Impossible Faith, which argued Christianity was so badly conceived it could never have succeeded unless it had irrefutable proof that Jesus had risen from the dead. Poppycock! There will also be some sidelines on J.P. Holding and Christian apologetics in general, beyond the treatment of the book. The event is free and open to the public. For more information see the East Bay Atheists Meetings Page. As many know I was interviewed for the film The God Who Wasn't There, which came out years ago and includes an extended version of my interview in the DVD extras. 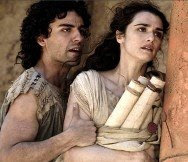 When I finally got to see the film, I privately circulated (eventually to journalists, academics, colleagues and others) a brief white paper on potential errors in it (only regarding the first third regarding ancient history, as that's my field). I then forgot about it. Several people recently have asked me about the film again, which reminded me I should just publish my brief. It is now available via my website as Critical Notes on the Movie The God Who Wasn't There (2005). Some of the points I make in that document I have since revised in subtle ways (as will be clear in my book On the Historicity of Jesus Christ), but it's adequate enough to stand un-edited from the original. People have also asked me my opinion of the film. 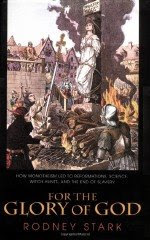 In general, the movie is as much about the supernatural God who isn't there (the Jesus everyone believes is going to come back from outer space and kill us) as the historical man who wasn't there, so it's not exactly a documentary about historicity (that subject only occupies something like a third of the film and is covered entertainingly but briefly). I find the film fun, funny, well-edited, and (for the most part) well-produced. It's definitely a feel good movie for atheists, and it definitely pisses off Christians to no end. I like it. But it's not PBS edufare. GWWT suffers from the unavoidable problem of all entertaining documentaries: it oversimplifies things. But it's nowhere near as egregiously full of sh*t as Zeitgeist: The Movie, which has been thoroughly debunked as absolute garbage by several knowledgeable commentators (the best critiques are catalogued by Jim Lippard at the end of his own blog post on that awful doco). 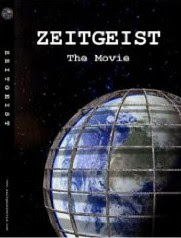 I wouldn't recommend Zeitgeist at all. But I only wouldn't recommend GWWT as a scholarly introduction to Jesus Myth theory. I still recommend it as awesome entertainment, played out with acceptable license. It takes liberties, but they aren't that excessive (as my white paper explains), and if you want authoritative discussion, you really ought to be reading a book instead. The Carrier-Craig resurrection debate went down the night before last. I'm finally home and rested. Here's just a quick report on what went down. I'm going to be in another movie. Sort of. I first became acquainted with Roger Nygard from his films Trekkies and Trekkies 2. Trekkies was superb--funny, informative, moving, yet with a real love of his subject. Trek fans only come off looking as silly as they actually are, and it's all humor in good fun (with an underlying message of humanism that's actually very Trekkie itself). Watching the first one inspired Jen and I to rent Trekkies 2, and we actually loved that one even more. It takes the same theme worldwide, looking at Star Trek fans in other countries. Which was actually the more amazing and moving. When you watch Bosnian Trek fans explaining why they love Star Trek's vision of a future golden age of peace and prosperity among all mankind, as a philosophy and vision for their own troubled times, it kind of means a lot more than when you hear it from some American suburbanite. I just can't recommend both films more. If you haven't seen them, you should. Anyway, Nygard has turned his brilliant and funny eye from the life of Star Trek trivia to the biggest of big topics: the meaning of life. With his new film--many years in the making, spanning the globe--he brings you The Nature of Existence. Roger actually interviewed me for this (last year I think), and shot a lot of footage, but alas I'm told I get only one line in the film (though Roger assures me it's a good one, I don't really know). It's possible more of my interview will appear in something like web or DVD extras, but no guarantees, and anyway it's a long way from those formats yet. It's still a film in the can, and it premiers at the Cinequest Festival in San Jose, California in a couple of weeks (Sunday, March 8, 2009), "at the palatial California Theatre," where there will be a screening and closing night gala starting at 7:30 p.m.
Roger didn't want me to tell anyone he was making this movie until it was done, which is why I haven't said anything until now (besides a hint not too long ago). 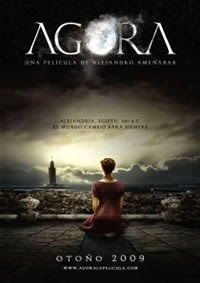 Since I haven't seen it, I don't know how good it is, but I think the probability is very high that it will not only be good, but almost certainly better than Religulous (which I had some issues with). Unfortunately I'll be in Southern California that day, so I can't make the premiere. I hope some fans will, and report back on it in comments here. Follow the links above for more details, trailers, and so on. I am still writing On the Historicity of Jesus Christ. But to save space there, I found I often needed to cite an online book I wrote some years ago, which is easier to do when there are page numbers. So I went ahead and produced a Lulu print edition. I just received sales stock today, so I will be selling it at my events in March after all, as I've hinted was possible. Though it is not yet posted for sale at Amazon, it will be in a few months (I'll update this blog when it appears there). I was going to wait for that, but since I'll be selling it at events next month, I decided to blog about it now so my fans are fully in-the-know. Part of my original contract included the guarantee that my initial work would be available to the public for free. So Was Christianity? will remain on the Secular Web, free to all. 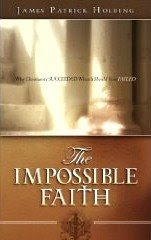 The print edition, now titled Not the Impossible Faith (to rif on Holding's title), includes various changes, to the point that it certainly supercedes the online version (it's the edition I will cite and reference from now on), but nothing so significant that you "need" to buy the book if you're content with the online text. I didn't want to take any time away from my current project, so I just did the minimum necessary to produce a decent print copy (and there wasn't much room for improvement anyway--as a refutation, it's pretty conclusive). What's new? Basically, I folded everything in the original Chapter 19 into the other 18 Chapters (where the various items in 19 belonged, each piece in a different place), folded many endnotes into the main text, wrote a new brief introduction (none too kind to Holding), rewrote some sections for clarity, made a slew of minor corrections and additions throughout, and smoothed readability in several places. Apart from all that, the main advantage of the book is that you can now cite it by page number (if you have a copy on hand), and carry it around and loan it around and write notes in the margins and highlight it and bookmark it and whatnot (I made sure it had proper 1" margins this time). 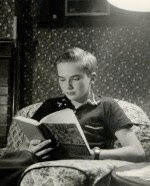 Personally, I just prefer reading physical books--lounging wherever I want, no eye strain, no battery or outlet issues, lighter to carry, easier page turning and flipping around and estimating reading time (I can see how much is left to read in a chapter or the rest of the book), I can stuff a bookmark where I left off, etc. For all these reasons, and especially if you want to start building a Richard Carrier collection on your bookshelf, it'll be worth buying the book. You can also buy a PDF version at Lulu for just $2.50, which will have to serve as a substitute for an index (since you can search that file for keywords, and still get the correct page number and see the text of the new edition, which is often different from the online version), since compiling a print index requires a solid week's work, and that was far too costly for me. You can buy it now at Lulu (the PDF or the softback), but Amazon will give you free shipping (on the softback), so I recommend waiting for when it's available there (unless you just want the PDF). But the best option is to buy a copy from me in person (at a speaking event any time in the future), where you will get a much reduced price ($20). And of course I'll sign it if you want. Though I'll make more money on sales through Lulu than Amazon, it's already overpriced ($28 through any vendor), so I'm keen to advise fans to save where they can. Lulu passes all costs on to the customer (that means you), which means it cost me nothing to publish (which is why I bothered). Unlike most self-publishing firms, which charge at least a thousand dollars to launch a book, Lulu charges nothing (and you can do all the formatting and editing yourself online, which limits your options, but that's no matter if you don't need any). But it makes up for this in unit price. So in effect, buyers are subsidizing the publication of the print edition. Though this means my book costs two to three times Holding's (which also just reproduces content already available for free online), mine is four times longer (454 pages to his 112) and (as you all well know) far better researched, argued, and referenced. Thus in terms of actual relative value-for-cost, the price isn't bad. My book actually contains a great deal of useful content and information, and citations of scholarship and sources, far beyond merely being a response to Holding (see the Lulu page for my full book description). It's a useful primer on the socio-intellectual context of the origins and spread of early Christianity. And of course it nails it hard to one of the most annoying apologetic windbags on the web. Atheists United, who is sponsoring my work On the Historicity of Jesus Christ (in progress), will be hosting a preview of my La Verne talk (Monday March 9) in Ventura, California, the previous day (Sunday March 8), followed by a cocktail fundraiser for Atheists United (at a different location). This will make my talk reachable by people too far from La Verne to make that trip, and it'll give my book's local supporters a précis of the book's argument (minus the rigorous mathematical details--maybe someday I'll give a tutorial on Bayes' Theorem, but a host group would have to ask...and convince me they won't find it too dull to stand :-). 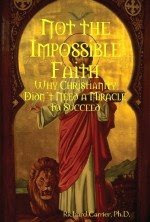 Topic: "Why I Think Jesus Didn't Exist"
The probability is increasing that I will have copies of my new book Not the Impossible Faith to sell at this event (at a discount, and well in advance of its appearance on Amazon in a month or two, when I'll blog in more detail about it). I will also have old back stock of Sense and Goodness without God that I'll be selling cheap (especially for those who want an extra copy they can loan out, give to friends or family, or trash up themselves with dog-earing and highlighting and scribbling and whatnot) as well as some copies of The Empty Tomb for those who don't already have one. 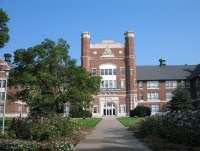 All the details have been settled at last: I will debate William Lane Craig on the Resurrection of Jesus at the Mary Linn Performing Arts Center on the campus of Northwest Missouri State University in Maryville, Missouri the night of Wednesday March 18 (2009) at 7pm (on the corner of College Ave. and College Park Dr). The event is being sponsored by the campus Philosophy Club. Admission will be free, but it's first-come-first-serve, and I'm told the venue might fill, so there's no guarantee everyone will get in--but if you're planning to come from out of town, you might be able to get a reservation (see below). It will be recorded, and there may be a video and transcript released eventually (certainly one or the other, if not both), but possibly not for a long while. I will give a brief talk on a variety of subjects followed by an open Q & A at 10:30am the day of the debate in (I believe) Fine Arts 200 on campus. Craig will also be lecturing somewhere on campus that day, too, for an ethics class, but that might only be for students of that class (I don't know the details). Audience Q&A: moderated, 45 minutes or so. We'll both be selling and signing our books after the event. I will likely have copies of The Empty Tomb to sell as well as Sense and Goodness without God, and if all works out, I might also have copies to sell of my new book, Not the Impossible Faith (which I briefly mentioned before, but I'll blog all about that book in a few weeks, once I've finalized everything for it). All three books pertain to the debate in one way or another. 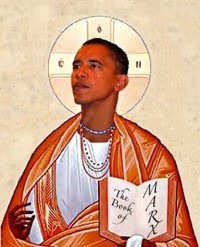 The topic of the debate will be "Did Jesus Rise From The Dead?" even though I originally insisted we first debate "Are the Gospels Historically Reliable?" for the simple reason that you can't honestly debate the former until you've debated (and in fact settled) the latter. Craig simply refused to debate that topic, claiming it was too big to cover in an oral debate, which I found odd since it's a necessary component of the resurrection debate, and if a necessary component of a resurrection debate is too big to debate, the resurrection itself must be too big to debate. So for a while we considered instead debating the Moral Argument for God, since we were at an impasse otherwise. But we eventually negotiated a compromise: I would concede to debate the resurrection if I can go on record with (and criticize) his reasons for refusing to debate the reliability of the Gospels. 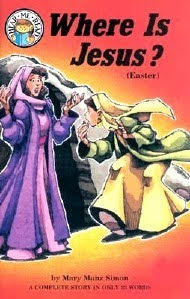 I propose the straightforward "Did Jesus Rise from the Dead?" The reason I prefer this topic to the historical reliability of the Gospels is because (i) a case for the historicity of Jesus' resurrection does not depend on the Gospels' being generally reliable, and (ii) being narrower in scope, the topic is more manageable in an hour and a half's debate. I find both (i) and (ii) to be patently false, in fact outright illogical. 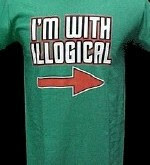 But if he wants to be illogical, that works for me. I also find curious his use of the word "prefer" for what was in fact a refusal. Make of that what you will. As to (ii), defending the resurrection requires establishing a number of premises, including the reliability of the Gospel accounts, and the viability of miraculous explanations of ordinary evidence, and the authenticity, meaning, and reliability of passages in the epistles, and so on, and is therefore larger in scope, not narrower. The historical reliability of the Gospels focuses solely on the Gospels and the evidence within them (and from the field of history) as to whether we can trust what they say, which is necessarily narrower in scope than any argument that requires first establishing that we can trust what they say. 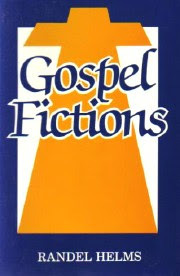 As to (i), if the Gospels are not generally reliable, then everything they say is under a pall of suspicion, which entails we can't trust what they say about their most contentious claims, and the resurrection is exactly such, therefore it is not logically possible to make "a case for the historicity of Jesus' resurrection" without "the Gospels' being generally reliable" (unless he intends to make that case without ever appealing to the Gospels, which is unlikely). I say this here as I might not bother making these points in the debate itself, except by simply pointing out why we can't trust what the Gospels say. I've also been asked about this quite a lot already, as apparently Craig was leaking details of our negotiations, so I might as well say here what I've already said to many people in email. Out-of-Towners: The organizer Landon Hedrick wants to know who is coming from out of town or even out of state to see the debate, and is willing to reserve a limited number of seats for those of you who do. To get those reserved seats, you need to email him and ask, telling him how many and who you are and where you are coming from. I'm impressed to hear he already has people coming from as far away as Nebraska and Florida. He can be reached at landonhedrick67@yahoo.com.